It’s the last Friday before Christmas, friends! Are you finished shopping? I think I just about am; which is great, because I do NOT want to go out this weekend. Everyone will be out getting last minute gifts, and it’s just insane! Thank goodness for online shopping and Amazon, right?! 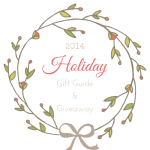 Do you have any holiday parties to attend this year? We have a few coming up (one being tonight!). I just love getting all dressed up since it seems we never get to anymore! Going to a party empty handed is just a no-go these days. It’s always nice to bring a little something with you for the host or hostess. 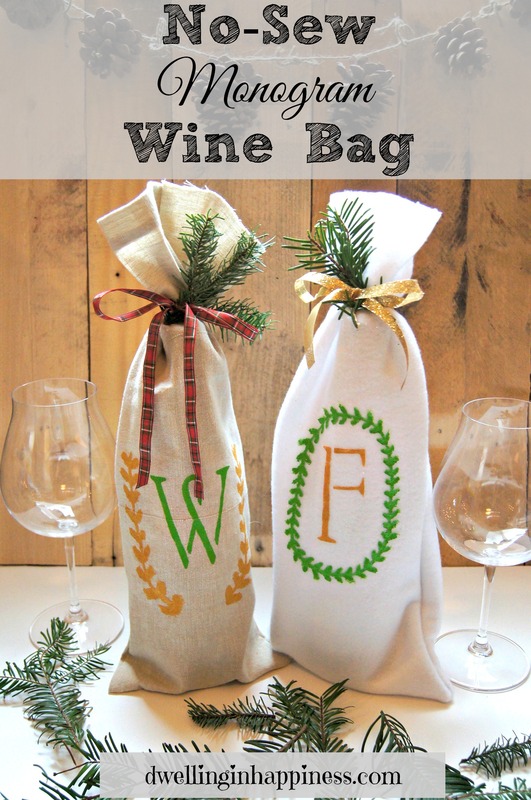 Wine is always a welcomed gesture, and I’ve got the perfect little bag to pretty that bottle up with, too! And, the best part of this little gift; it’s NO-SEW. That’s right my fellow non-sewing friends, you can whip this up super quickly! Like, within minutes. First, cut your fabric to your desired size. I made mine 36×8 inches. 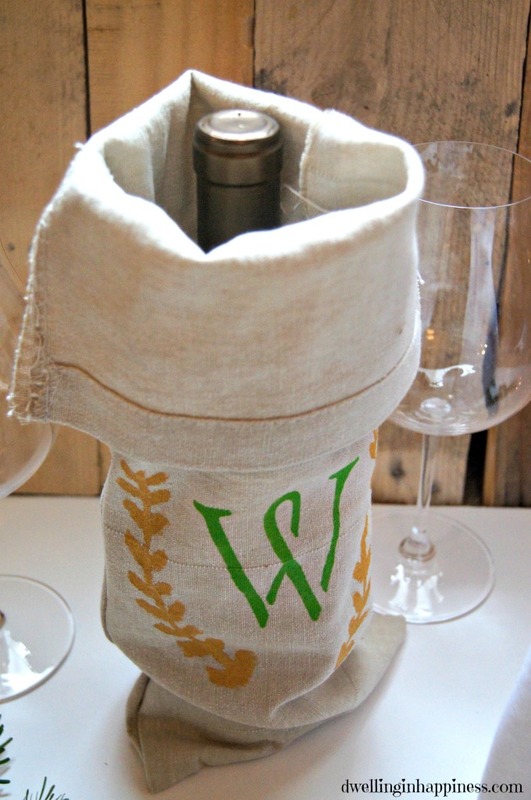 The bag won’t fit those extra large wine bottles, but you could certainly make one that does! 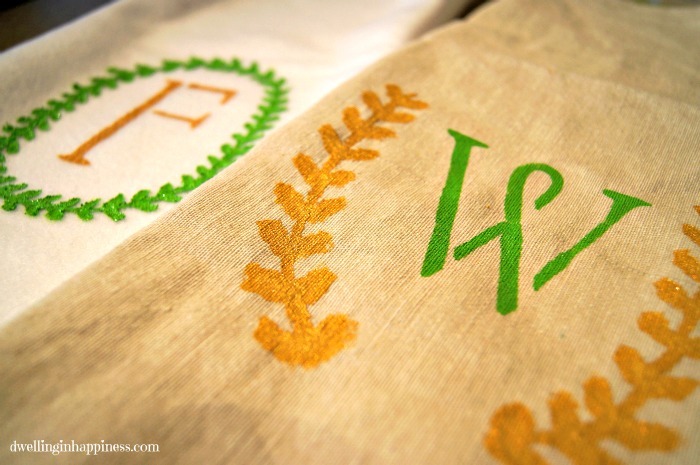 I used some leftover linen fabric from some curtains that I had to trim, and some extra fleece from another project. 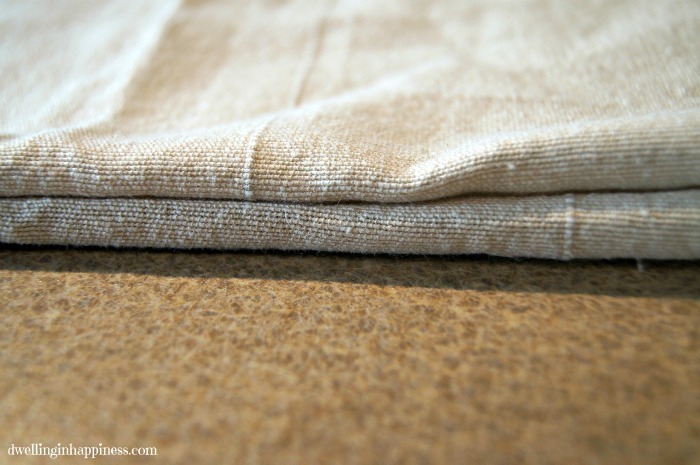 A dropcloth would work perfectly too, and you could make several bags out of one! Whatever fabric you choose, make sure it’s fairly thick and is double sided. 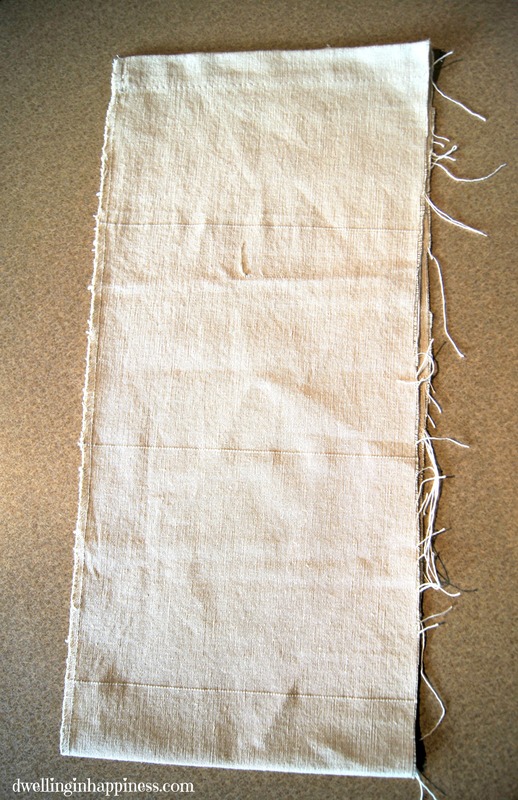 Once your fabric is cut, fold in half. 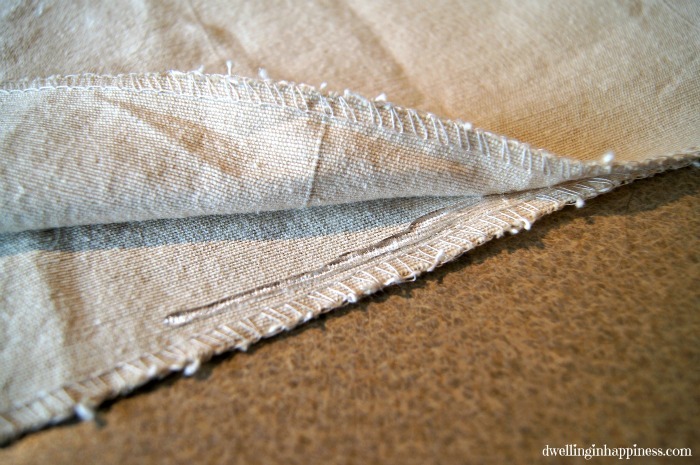 Make sure you fold the the fabric inside out, then glue down both sides of the fabric, about half an inch in. Leave the top open and unglued. When the glue has cooled and dried, carefully turn the bag inside out. You will have a nice seam that looks like it was sewn; but no one will even notice it wasn’t! 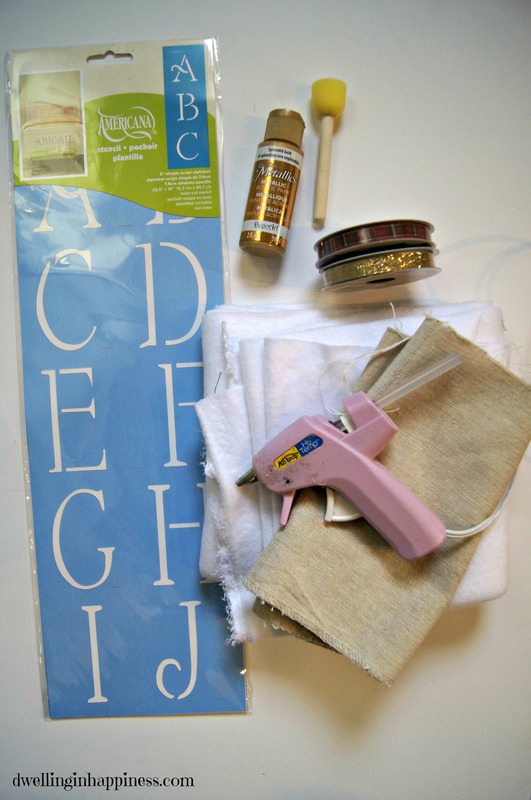 Put a piece of cardboard or wax paper inside the bag to make sure the paint doesn’t leak through. 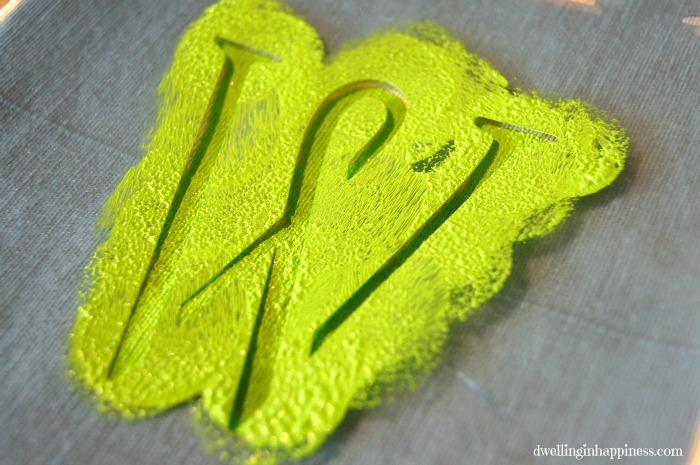 Holding down a letter stencil firmly, gently sponge on the paint. Carefully pull up the stencil. It needed something else besides the monogram, so I free handed a leafy design around the letter as well in gold, of course. 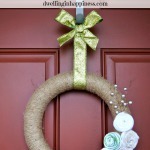 These aren’t only for Christmas either, you could make a sparkly one for new years, or any holiday or special occasion! 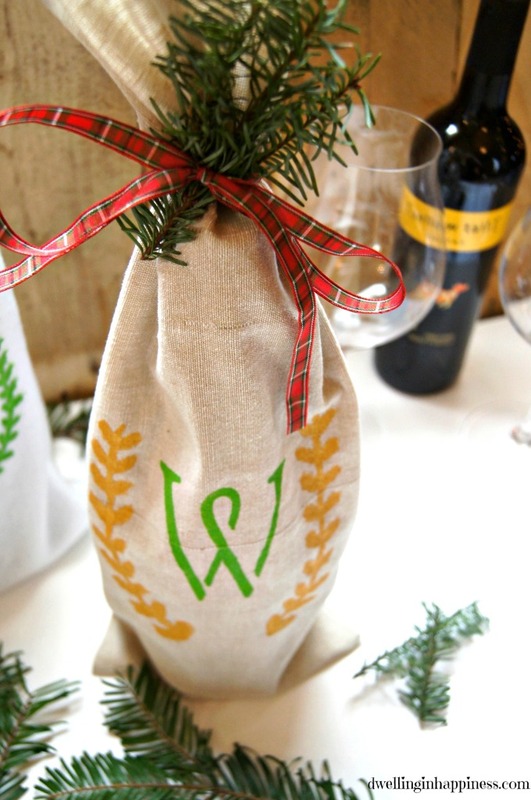 My brother and sister-in-law host a big annual Christmas party, so they will be getting this pretty “W” one tonight! Aaaaand, whatdya know, our last name starts with an F. I suppose we better just drink the wine in this one then, eh? 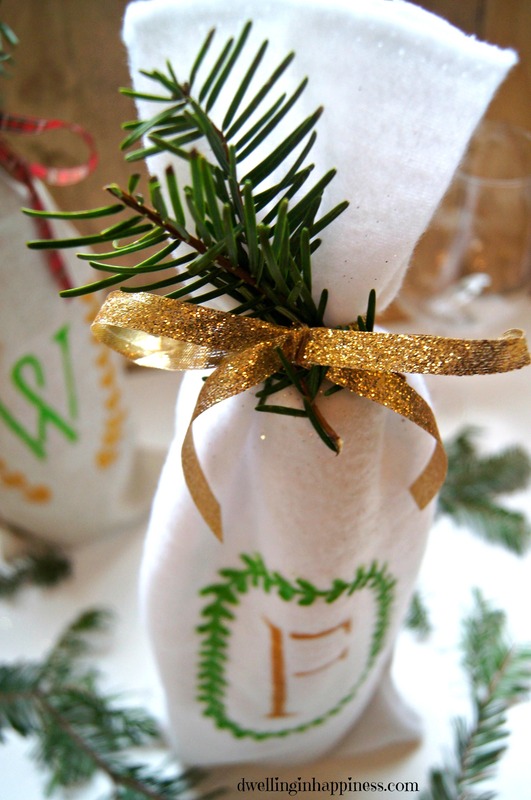 Are you going to any Holiday parties this year? These are TOO, too cute! 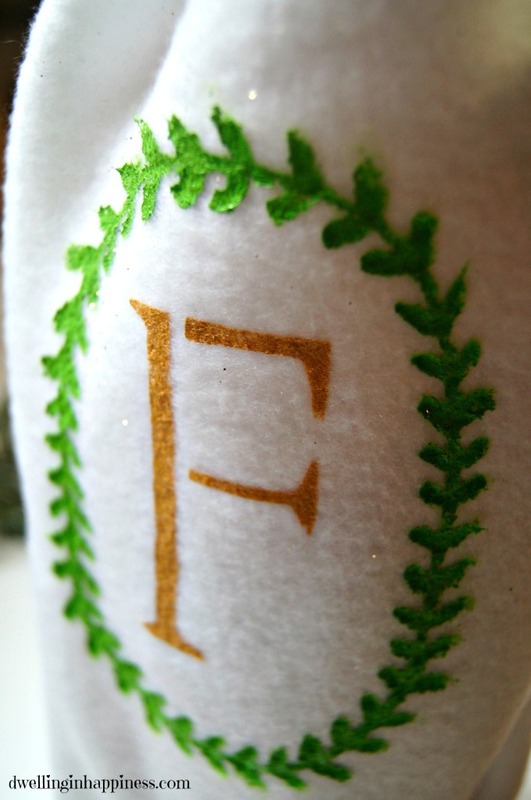 I really love monogrammed items, so of course I would have to make one for myself and for gifts for my friends. Thank you, friend!! 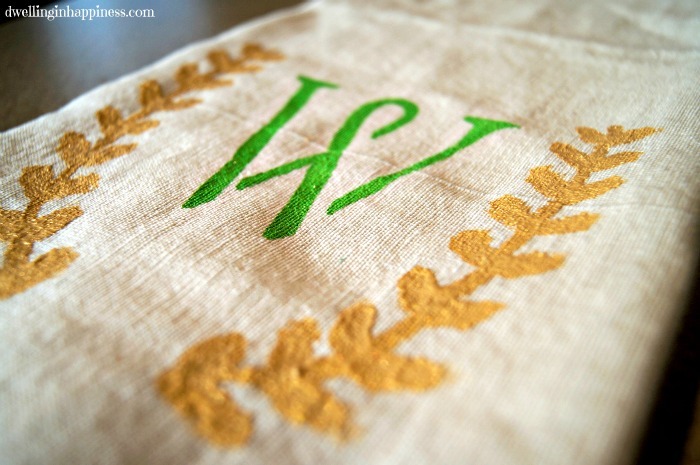 I love monogram items too, and it’s such a personal gift which is so nice! 🙂 Hope you have such a great weekend! Thank you so much, Jessica! Hope you’re having a great weekend! 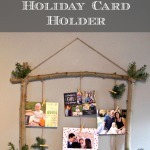 Pingback: Great Ideas -- 20 Last Minute Neighbor and Friend Gifts! Amanda, I love these! I really like that it’s a thoughtful gift, but doesn’t take too much of your sanity and time (not that our friends aren’t worth it ;). Great tutorial! 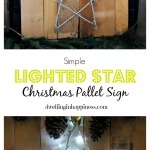 So cute and easy!! 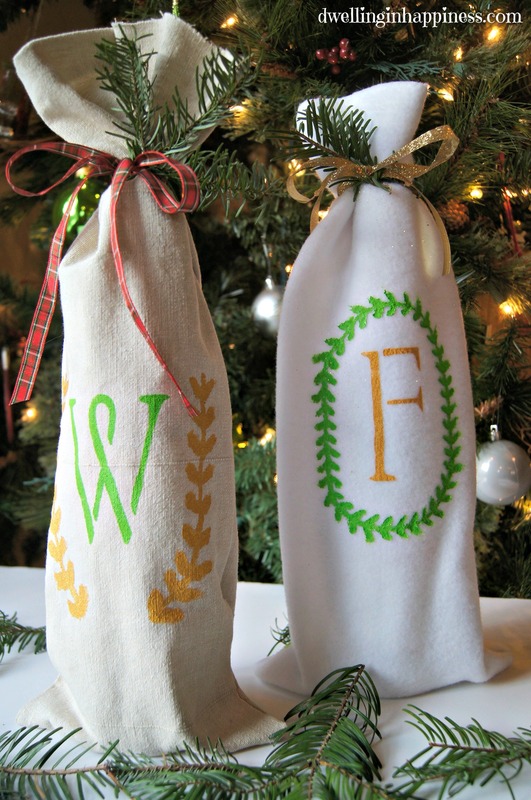 I give wine to several people on my gift list, and this is perfect to make it more personal. Hope you have a great Christmas, Amanda!! Thank you! Hope you are having a great Holiday season! Merry Christmas! 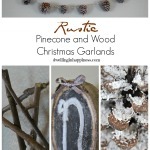 We’ll be featuring you on Sunday in this week’s Bewitching Projects at OurMiniFamily blog! 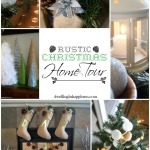 Cathy @ Our Mini Family recently posted…Merry Christmas!